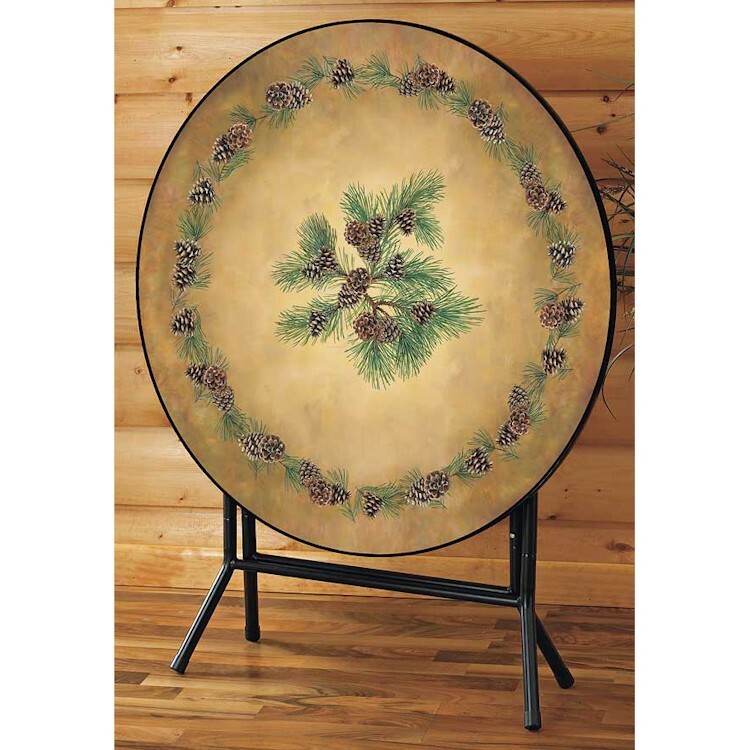 Easily set up, this attractive Pinecone Folding Table is ready to go anytime you need to feed extra guests or want to play games. Great for cabin or home. Durable UV polycarbonate laminate with a non-glare finish. 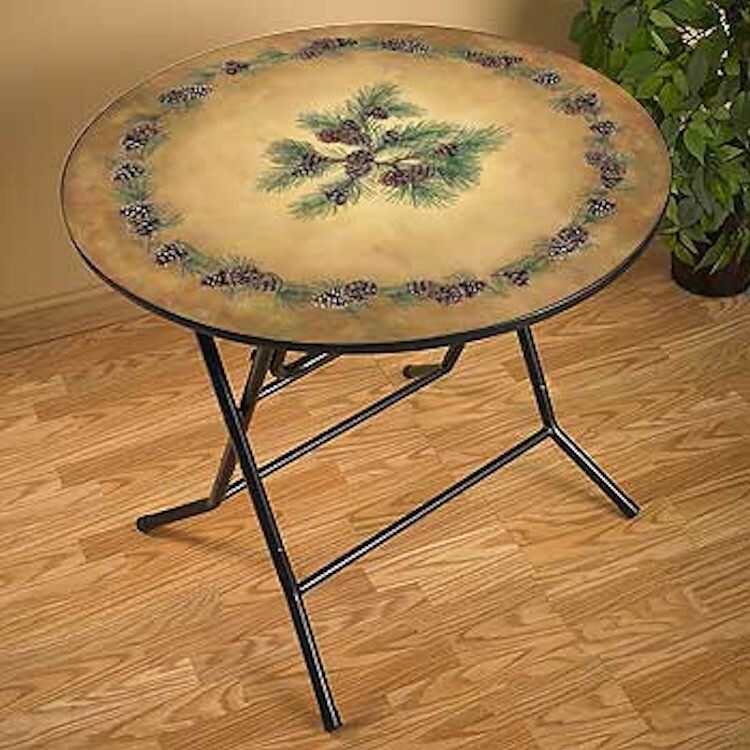 Easily set up, this attractive Pinecone Folding Table is ready to go anytime you need to feed extra guests or want to play games. Great for cabin or home. Durable UV polycarbonate laminate with a non-glare finish. Base is tubular steel for maximum stability, folds to only 9" deep.